Get those legs and that booty working! This workout is sure to tone and shred your lower body! It’s common in the workout community for people to dread and skip leg day, yet leg day is one of, if not the most important muscle groups to workout especially if you’re looking to trim extra fat. Because the leg muscles are so big, each workout provides a massive calorie loss for maximum burn. This workout is a mix of both strength and compound, stretching leg movements to give you maximum return. 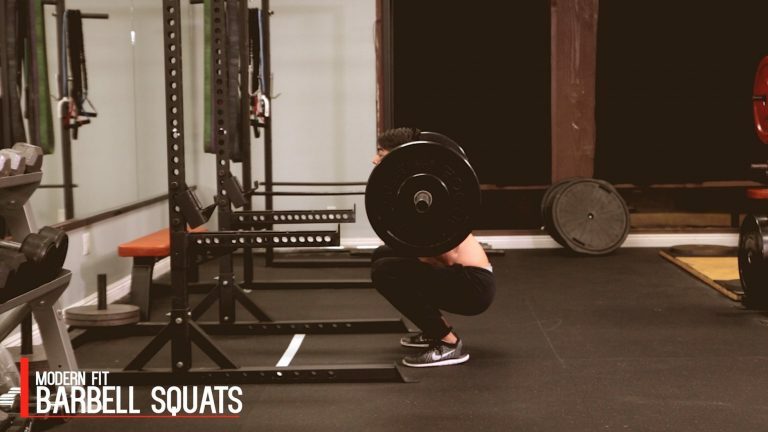 For more technical movements like the barbell squat and leg presses, use a spotter as you’re starting out to prevent any injury. As you get comfortable with this workout, challenge yourself by increasing your weight and reps. Repping out to failure at the end of sets will also give you a nice pump and cardio burn. Because this workout is so isolated, we recommend doing this no more than 1 – 3 days a week while allowing 1 or 2 days in between for rest. Load the desired amount of weight to each side of the leg press machine. Sit down and grip the side handle bars. Place your feet on the platform in front of you with at about shoulder width apart. Slightly angle your toes/feet outward about 5 degrees. This is your starting position. Push the weight up with your legs, then with your hands unengage the safety bars. While inhaling, slowly contract your legs towards your body until your legs are at about a 90 degree angle. Hold this position for a second then exhale push the weight and platform with your heels back to the starting position. When you’re finished with your set, push the platform/weight all the forward with your legs and reengage the safety bars before letting your legs and the platform back down. 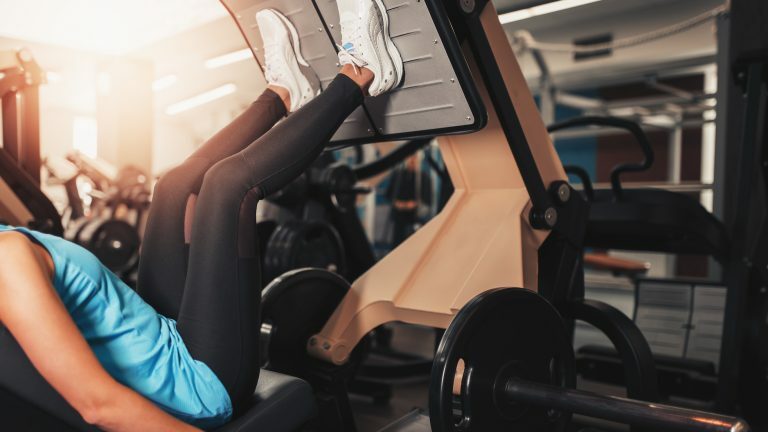 Using a leg press or smith machine, lay down on the machine or floor and place your legs on the platform directly above of you at a medium (shoulder width) foot stance. (Note: For the purposes of this discussion we will use the medium stance described above which targets overall development; however, you can choose any of the three stances described in the foot positioning section). Lower the security bars holding the platform that was weighted and press the stage all the way up until your legs are fully extended in front of you. Tip: Make certain your knees are not locked by you. The legs and your torso must make a perfect angle. This is your place. As you inhale, slowly lower the platform and lower legs until it’s at a 90-degree angle. As you exhale, push firmly with the heels of your feet and using the quadriceps go back to the starting position. Repeat for the recommended amount of reps and make sure to lock the safety pins properly soon as you’re done. You don’t want the platform falling on you when it’s fully loaded. There are multiple ways to do prone leg curls. You can improvise using a cable if your gym does not have a leg curl machine. If you have the strap attachment, insert it on the hook and bring the pulleys down to the lowest setting. If you don’t have the strap attachment the handle attachment often works just as well. With the strap attached to your ankle begin to raise your ankle towards your body so that it’s perpendicular from the ground. Slowly bring your leg bag down to the starting position. After you complete the desired number of reps, switch legs and repeat. Start by finding an open spot on the ground or on a mat. Get on your hands and knees and be sure to keep your back straight. While keeping the natural bend in your knee from your starting position, kick one leg out to the side as high as you can (similar to a dog on a fire hydrant). Pause, then inhale while bring your leg back to the starting position. This completes one rep. You can alternate reps between legs or finish your reps on one leg before switching to the other. Dumbbell lunges are similar to normal lunges, but the added weight helps you challenge yourself through each movement. Start by grabbing to dumbbells that you can reasonably complete the set with. Stand shoulder width apart with both dumbbells by your side. Your palms should be facing each other. Keeping your body upright, take one medium to large step forward while naturally lowering your other leg with your body. Push through the heel of your front foot to push back to your initial starting position. Switch legs and repeat the movement to complete 1 rep. Tips: Be sure to keep the dumbbells at your side and stationery through the entire movement. Be sure not to extend your front knee too far forward (generally not past your toes) to keep from straining. Start with the barbell supported on top of your traps. Your chest should be up and the head facing forward. Maintain a hip-width stance with the feet turned out as needed. Descend by flexing your knees, refraining from moving the hips back as much as possible. This requires that the knees travel forward. Ensure that they stay align with the feet. The goal is to keep the torso as upright as possible. Continue all the way down while keeping the weight on the front of the heel. When the upper legs contact the lower legs, reverse the motion, driving the weight upward. I first got into weight lifting when I got hired into an office job. I found myself eating junk food and fast food all the time. I knew if I kept this up, I would later regret it in the future. I wanted to make a change and want to help others make a change too!